Collect email addresses. Connect with customers. Grow your business. Dynamic sign-up forms make it easy to capture customer information on your website. Build your contact list faster than ever. Create and customize sign-up forms with our easy-to-use editor. Install a one-time code to enable automatic website updates. Capture email addresses with dynamic, mobile-optimized forms. Automatically send welcome emails to new subscribers. Stay connected with Constant Contact email marketing. Our professional, secure, and mobile-optimized sign-up forms are designed to match your brand and built to turn website visitors into new contacts. Dynamic forms come with advanced behavioral triggers, so you can customize how and when forms display on your website—such as when visitors are about to leave a page. Constant Contact offers a range of inline and dynamic forms, including pop-ups, fly-outs, floating tabs, and more. 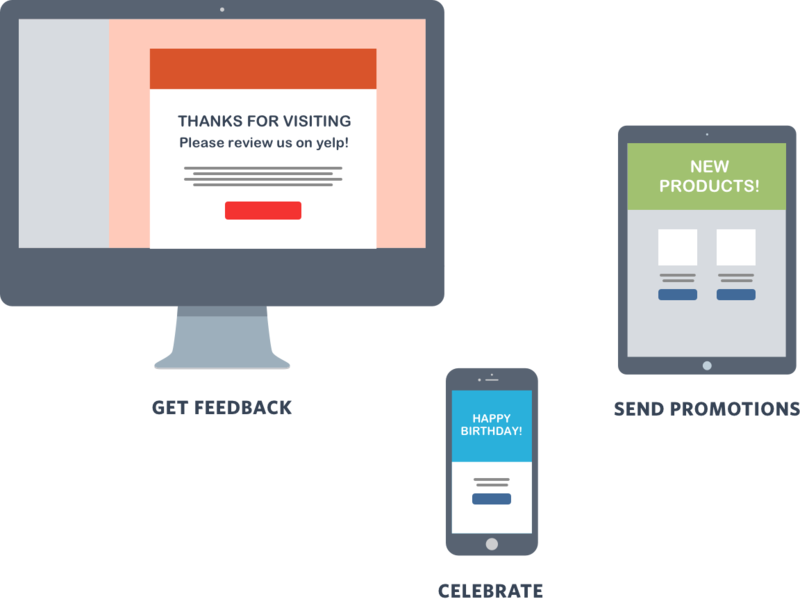 Dynamic pop-up forms and automatic display triggers maximize email sign-ups by as much as 150%. Create, customize, and capture with ease. Our intuitive form editor makes it easy to get started and allows you to fully customize your sign-up form to fit your website. Catch customers before they leave. Our exit monitoring technology detects when visitors intend to leave your site and triggers a pop-up form. Forms for customers on the go. 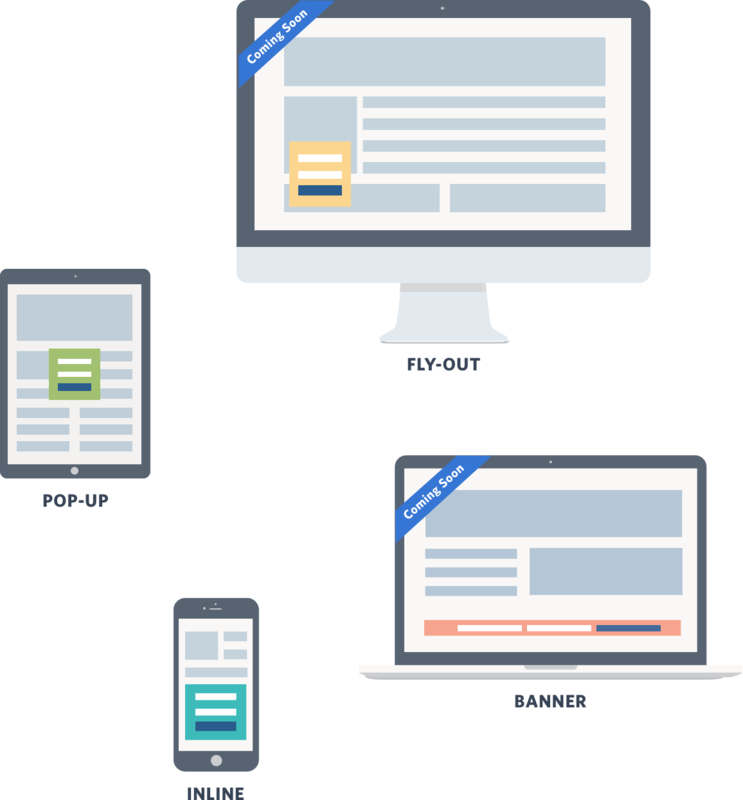 All Constant Contact dynamic and inline forms are optimized for mobile devices. Simply install a one-time code on your website to create and edit our sign-up forms. Capture key insights with custom fields. Collect the right details now and target contacts with the right messages later. One code and you’re done. Your new customer relationship starts…now. Connect immediately with a welcome email. Send an automated welcome email to reach subscribers when they are most interested in your brand. This is a great opportunity to provide a special offer or discount—and turn new contacts into loyal customers. Welcome emails generate as much as 320% more revenue than other promotional emails. Constant Contact sign-up forms are fully bundled with the industry’s #1 email marketing tool, so you can easily collect new email addresses, engage subscribers with professional-looking emails, and track your success. Plus, get expert support from real people you simply won’t find anywhere else. 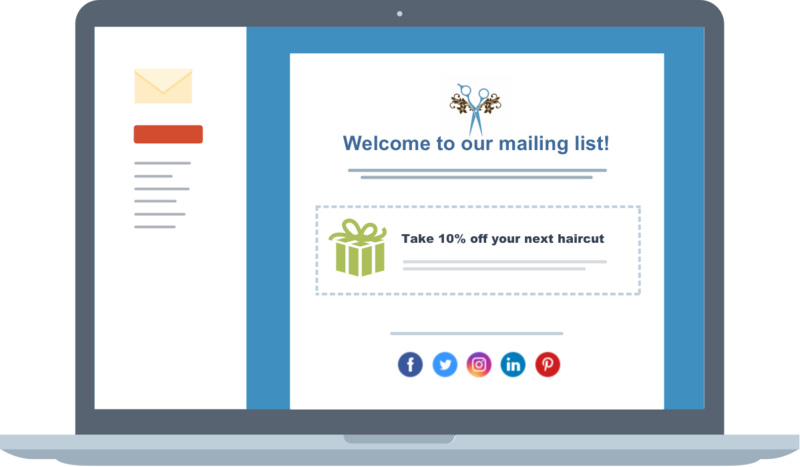 Add sign-up forms to your website today—and gain access to powerful email marketing.